Orbital Sciences Corporation (NYSE: ORB) has announced that the Intelsat 18 satellite has completed its in-orbit testing and has been handed over to the customer, Intelsat S.A. Intelsat 18 is to be operated at 180 degrees East, where it will provide C-band communications services to eastern Asia, the Pacific and the western United States, and Ku-band communications services to French Polynesia, New Caledonia, eastern Australia and the United States. Intelsat 18 was launched aboard a Zenit rocket from the Baikonour Cosmodrome in Kazakhstan in early October. A team of Intelsat and Orbital engineers have since conducted several weeks of orbit raising and testing operations to prepare the spacecraft for commercial service. Orbital designed, built and tested the Intelsat 18 satellite at Orbital's satellite manufacturing and test facility in Dulles, Virginia. It carries a hybrid C- and Ku-band payload. 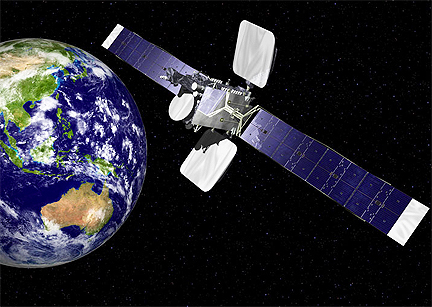 Orbital’s highly successful communications satellites are based its GEOStar™ satellite platform, which is able to accommodate all types of commercial communications payloads. The GEOStar design is optimized for satellite missions requiring up to 7.5 kilowatts of payload power. In most instances, the affordable GEOStar satellite can be built and delivered in about 24 months.